OK Potter fans, have at it. A universal remote that changes the channel based on a flick of your wrist. There are actually 13 different gestures recognized by the device. I've collected all sorts of interesting things around the Kymera Wand at http://kymera-wand.com. 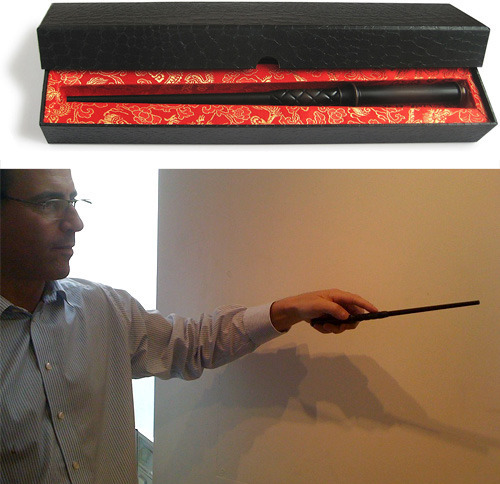 Check it out, get your wand and report back with an review.